Almost £10,000 was raised for the #TEAMTYLER charity boxing match in Bolton for Duchenne Now, which we are proud to have supported. 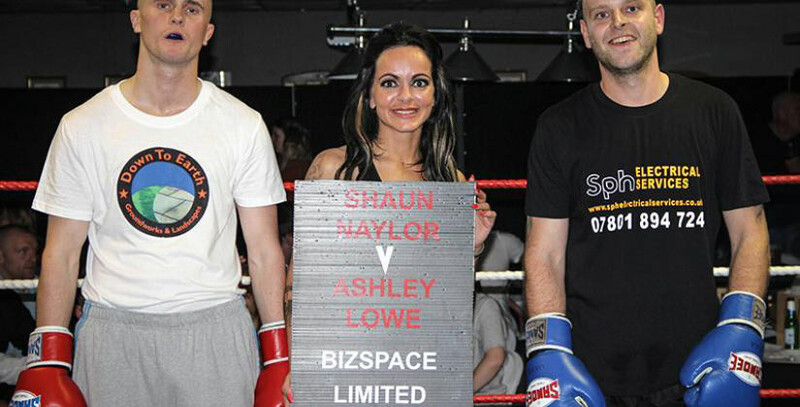 We are delighted to have supported a charity boxing night which has raised thousands in aid of a fantastic cause. Our Halliwell Business Park in Bolton was one of the sponsors of the #TEAMTYLER ‘Grudges Settled Boxing Night’ which raised almost £10,000 for Duchenne Now. Tyler Richardson is eight years old and suffers from the rare genetic condition Duchenne muscular dystrophy. The devastating illness affects 1 in 3,500 boys in the UK. Children who suffer from this terrible illness will see their muscles weaken and progressively waste away, becoming completely wheelchair bound by around the age of 10 – 12. They then go on to develop breathing problems and respiratory muscle failure and then eventually heart failure. In the past most people with this condition haven’t lived beyond their early twenties. Duchenne Now is a zero-cost charity that funds research into Duchenne muscular dystrophy in the hope of finding a cure. Tyler’s family and friends are constantly working to raise funds for the charity and this latest event was organised by his dad, Aaron, and his partner Victoria Allsop. “The idea for the event came back in May when Aaron and some friends were on holiday,” Victoria says. The event was held at the 147 Club in Walkden, which is local to our Halliwell Business Park. The business centre sponsored two of the matches, took a page in the event programme and had banners around the room. Tyler was diagnosed with Duchenne muscular dystrophy shortly after his fourth birthday. Dad Aaron remembers: “At first they thought Tyler had something called dyspraxia, which is a developmental co-ordination disorder that causes children to perform less well in their daily activities and appear to move clumsily, but it wasn’t. It was something far more awful than this. Tyler, whose birthday was earlier this month, now relies on a wheelchair most days as his body gets tired. Team Tyler has an online donation page if you would like to make a contribution. Halliwell Business Park is a converted mill, offering a selection of workspaces including offices, workshops, industrial units and storage units. The site has spacious, free of charge car parking facilities and 24-hour access is available. For more information contact Business Centre Manager Paul Ogle on 01204 849 494.